Spring is sprung and the summer vacation season is nearly upon us. 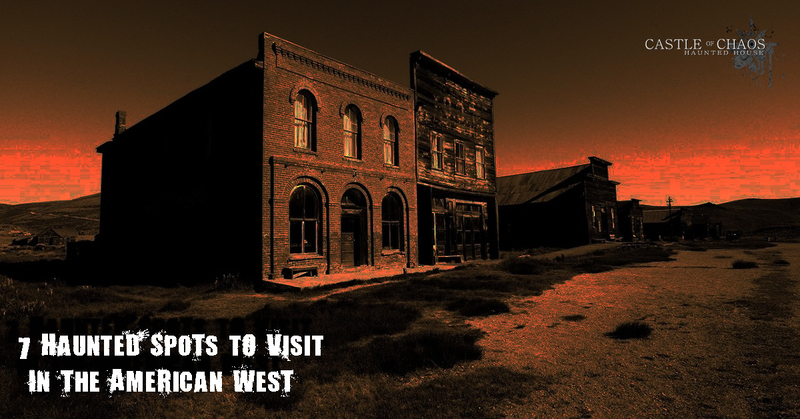 If you are looking for a unique road trip to take this year, may we suggest a tour of haunted locations in the western U.S. Not only do these spots feature spine-tingling paranormal activity, but they are also windows into the West’s wild past of outlaws, miners, gamblers, and cowboys. Thomas Whaley came to California during the San Francisco Gold Rush in 1849. He later moved to what is now San Diego’s Old Town and built a home for his family. Unfortunately, the house seems to have been haunted before it was even built. The land it was built on is thought to be the site where the outlaw Yankee Jim was hung on charges of grand larceny. Mrs. Whaley believed that the ghost of Yankee Jim haunted her home, and blamed the haunting for the tragedies that ensued. Her 18-month-old son died of scarlet fever in the house in 1858 and her daughter Violet threw herself from the second story balcony in 1885. These deaths are thought to have contributed to the paranormal activity that is seen in the house today. Visitors report seeing and hearing children at play, seeing Mrs. Whaley in her sitting room and seeing Mr. Whaley surveying his home from the top of the stairs. Doors open and shut on their own, and the smell of tobacco smoke and the scent of French perfume drift from nowhere. Visitors have even heard the eerie sounds of a piano being played. If you want to experience the Whaley house, you can purchase a ticket to take a self-guided tour during the day, or if you are feeling adventurous, you can book a guided after-hours tour after 10 pm. As long as you are in San Diego visiting the Whaley house, you might as well stay in a haunted hotel, right? 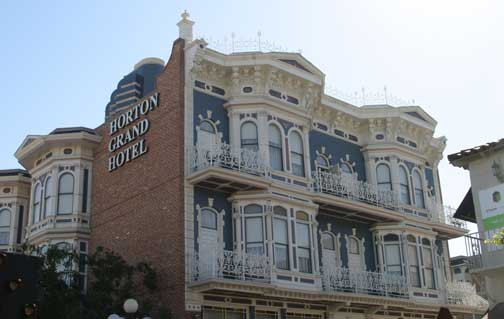 Located in what used to be the red-light district, the Horton was constructed from the bricks of two hotels dating from the 1800s. The rebuilt Horton Grande has been operating since 1970. 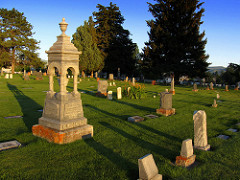 Guests have reported a variety of paranormal experiences, including glowing orbs, cold chills, and mysterious footsteps. Room 309 is haunted by the spirit of Roger Whitacker, a gambler who couldn’t pay his debts. Whitacker hid in his room but was hunted down by his debtors and shot in the armoire. Guests who have spent the night in his room report that objects moved around on their own, the bed shook, the armoire opened and closed, and the lights flickered off and on. The ghost of Madame Ida Bailey, who ran the “cat house” that used to sit on the property, is also thought to haunt the hotel, but she is much more polite that Roger Whitacker. 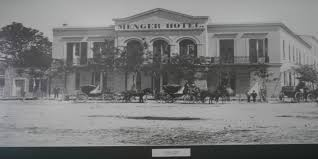 If you are visiting Texas on your road trip, you should make sure to check-in at the Menger Hotel in San Antonio. The hotel has had many famous visitors over the past 150 years, and some of them never left. A great spot for history buffs as well as ghost hunters, you might see the ghost of President Teddy Roosevelt sitting at the bar where he used to convince patrons to joint his Rough Riders during the Spanish- American war. Captain Richard King also seems to be partial to the hotel in his afterlife. He was once the owner of one of the largest ranches in the world and had his own private suite whenever he stayed at the Menger Hotel. Today, he can still be seen going in and out of his room and roaming the halls. A more tragic figure also haunts the hotel, the ghost of Sallie White, a maid who was murdered by her husband while at work. Visitors have seen her on the third floor wearing her uniform and carrying towels as if she were still serving guests. 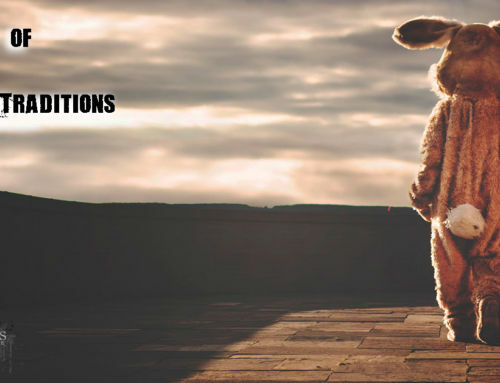 The Pheonix area is home to so many haunted attractions that a bus tour is the best way to see them all. If you have to pick just one, we recommend the Lost Dutchman State Park. Why? Well because it has the most intriguing story. Just east of Phoenix you will find the Superstition Mountains. In the 1840s a family from northern Mexico, the Peralta’s, started a gold mine in the Superstitions. According to legend, all but one or two members of the family were killed by an Apache ambush in 1848. Others who had worked the mine had a hard time finding it again or describing to others where it was. Maps and documents relating to the location of the mine have also had a tendency to get lost or destroyed over the years. In the 1870’s Jacob Walz (the so-called Dutchman) and Jacob Weiser were said to have located the mine and hidden some of the gold from it in the Superstition Mountains. Walz didn’t make it out of the mountains alive, and some believe that Weiser killed him. Gold hunters who have searched for the mine using Weisers instructions have never been able to find it; thus it has become known as the “lost mine”. Visitors to the mountains have seen strange lights in the distance. Others have claimed that if you get too close to the mine, you will be scared off by the ghosts of Apache warriors or of Jacob Walz himself. 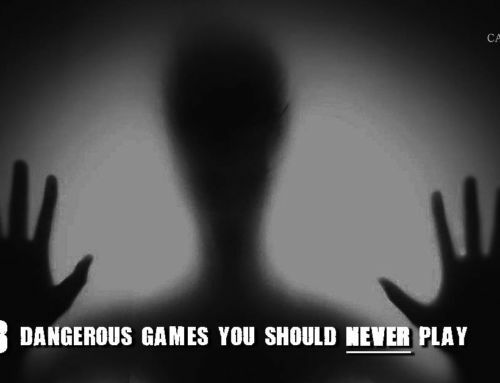 It shouldn’t come as any surprise that Nevada is a hotbed of paranormal activity. Many of the rural towns here still have that wild west vibe, and it’s not hard to imagine that ghosts of outlaws, miners, and cowboys might still be hanging around. The town of Pioche has the dubious designation of having been one of the most violent towns in the wild west. Pioche was a mining boomtown in the 1870s and was home to all kinds of riff-raff that wanted to get rich quick. 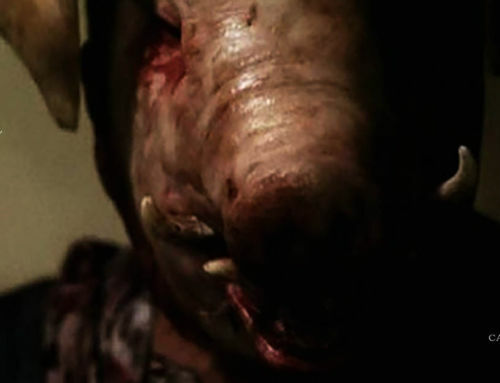 In one year alone the town had 72 murders! 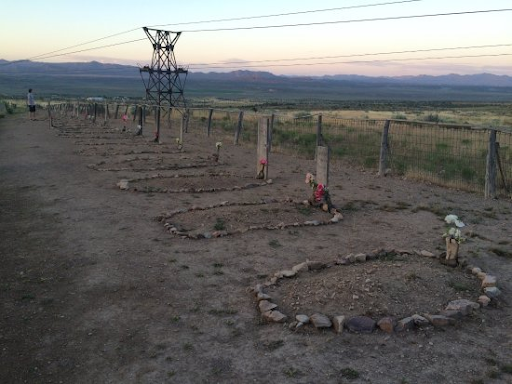 60% of all of the homicides in Nevada during the 1870s took place in this little town. 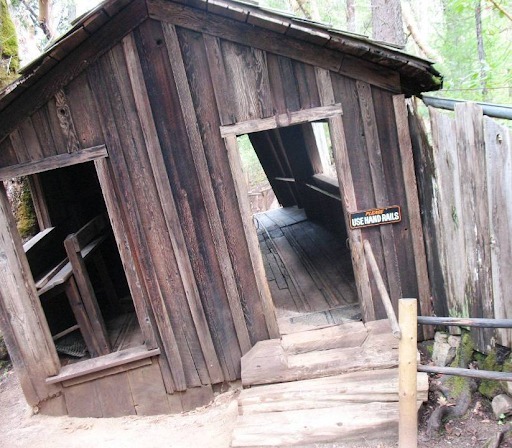 The Oregon Vortex is an area where physics seem to work differently. It is located near Gold Hill, Oregon and is a must-see for anyone interested in the strange and unusual. Native Americans have always believed evil spirits haunted this area, but that didn’t stop a mining company from building an office here. If you visit today, you will see that the building has sunk into the ground at an angle, but if one of your friends stands inside the house, they will appear to be standing perfectly straight. Due to what may be an electromagnetic phenomenon, visitors will notice that perspective seems skewed here. A person walking away from you towards magnetic south will appear taller, and a person walking towards you from magnetic north will appear shorter as they come nearer. 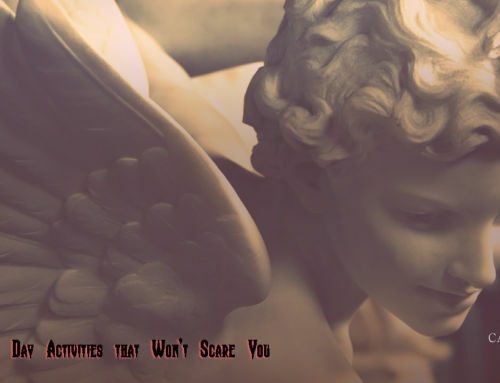 Many today also think that it is a center of paranormal activity and have reported ghostly sitings, including the ghost of John Litster, the scientist who originally studied the area. The Vortex has been open to the public since 1930 and makes a great leg stretching activity on your drive through Oregon. Heber is a picturesque mountain town in Northern Utah that is known for its skiing and hiking opportunities. 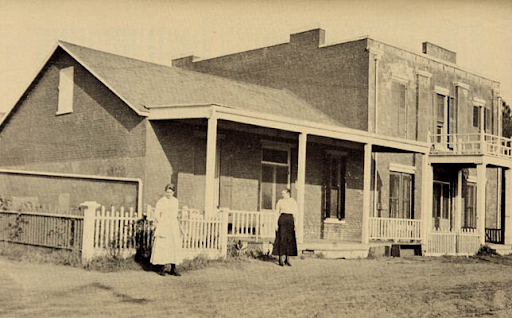 It was founded in 1858 and was the scene of some Old West railroad history. If you visit the historic cemetery during daylight hours, you may see a little girl playing amongst the tombstones, but if you approach her, she will disappear. If you visit at night, you may hear footsteps and male laughter, especially in the area among the trees. If you take the highway south from Heber, you will eventually go through American Fork Canyon. Drivers through the canyon have reported picking up a man who was hitchhiking. After spending a few minutes in the car, the man simply vanished.